We meet a lot of people at business shows and networking events, who’ve never required language services before. Some had never even heard of what we do, or considered that there could be such a thing as the ‘translation industry’. It’s always interesting to watch their faces change, as we explain what we do, and how our services help other business grow, as they reach that ‘Eureka’ moment. It’s completely reasonable to be unaware of the existence of language services, or indeed the value that they can add to your business. The role of translations in business is usually viewed in the same way as petrol is for your car – a necessity purchase that is not needed unless unavoidable. Someone who’s never been pressed into looking into language or translation services could be forgiven for having this attitude. After all, what use could languages be to someone whose business is conducted entirely in the UK, in the English language? Firstly, take a look at the UK. Figures released in 2012 showed that 12% of primary aged schoolchildren speak English as a second language. That’s around 1.1 million people who, almost five years later, are on the verge of becoming potential customers for your business. The 2011 census indicates there are over 6 million UK residents who don’t speak English as a native language. In 2015 it’s been forecast that we had 34.4 million overseas visitors spending £22.0bn. This figure was predicted to rise to £22.9bn in 2016. Clearly a large customer base of non-native English speakers exists in the UK, so how about trying to appeal to these people? One key way to do this, is to speak to them in their own language, and here’s where we can help. By translating your homepage, or some of your product listings you instantly forge a connection. It’s not just getting people to understand what it is you do/offer more quickly either. Put yourself in your potential customers’ shoes and imagine being a non-native speaker in another country. It can be a lonely, even intimidating experience. So when someone makes the effort to reach out to you in a way you understand, it’s a big gesture, not to mention the priceless feeling of familiarity they will draw from reading your message in their own language. Taking this first step is relatively inexpensive, and you’re more than likely to receive a return on your investment. If you’re worried about then dealing with enquiries in languages other than English, then we can set you up with the tools to handle these. A 24/7 telephone interpreting account instantly grants the capability to converse with anyone in any language. Then there’s the rest of the world. If you’ve never considered exporting your products/services, then perhaps now is the time to look into this. While the economy in the UK is predicted to weather some hardships in the next few years, other economies are expanding. British businesses have a global reputation for quality, and you can make the most of this by exporting to some of these growing economies. Even if you are a small business, you can try selling overseas on sites like Amazon to test the waters. We have helped numerous businesses with this process and can do the same for you. Translating the details of your products is a cost effective way of appealing to a broader market base, and if successful, we can provide ongoing support for your business. In a nutshell, language services can broaden your appeal to a wider base of consumers, and present more opportunities for your business to expand. So if you’re one of those people who viewing language services as a necessity purchase, perhaps it’s time to think differently. Instead of looking at translation as the fuel you’re forced to buy to get where you want to go, how about seeing translation as the road which can take your business to exciting new destinations? 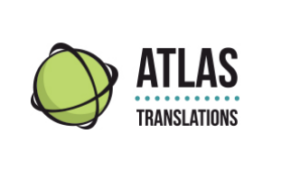 Call us today on 01727 812 725 or email us at team@atlas-translations.co.uk. You can also chat with us live (during usual business hours) using the Live Chat box right now. This is a great way to chat with a real person and Atlas and get a good idea of price and timings for your translation work.